Coronary angiography provides a very detailed examination of the coronary arteries, which vascularise the myocardium or cardiac muscle. It uses X-rays that visualise the dynamic movement of a contrast medium injected into the patient. Of course, coronary angiography is performed by a medical team in a hospital. The aim of coronary angiography is to detect abnormalities in the blood circulation, whether these are due to narrowing orobstruction of the coronary arteries. The examination is particularly indicated in suspected myocardial infarction or angina pectoris, also simply known as angina. A flexible catheter is introduced up to the heart through a peripheral blood vessel, usually in the forearm. This is the route through which the contrast medium is administered. The contrast medium is carried by blood flowand makes the vascular system radiologically visible. Malaise, chest pain, and palpitations may occur during the investigation. However, serious complications are rare. Bruising or a haematoma may last for several days at the injection site. These are a minor disadvantage although patients are recommended to consult a doctor if they swell up in the next few days after the investigation. 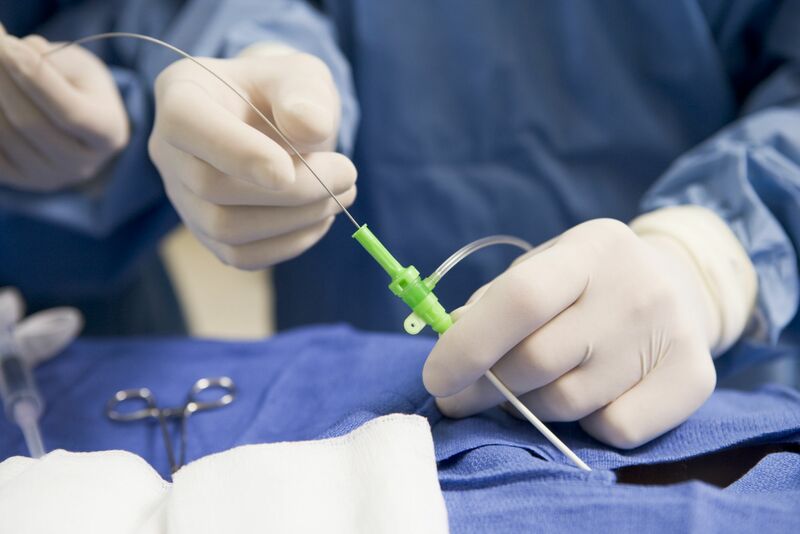 Less commonly, use of the catheters can cause vascular injury and require surgical repair or a blood transfusion. Paris South Cardiovascular Institute, December 2010.